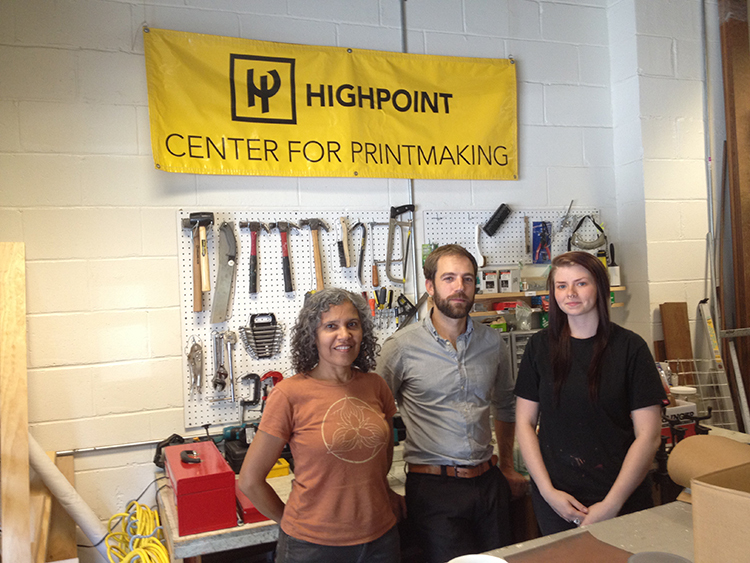 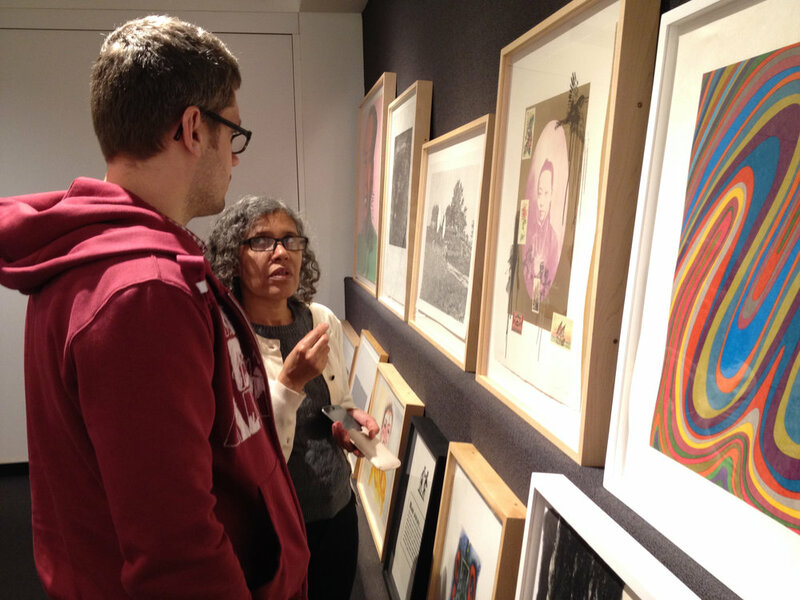 With the generous support of the Jerome Foundation, the artists were provided 9 months of access to Highpoint’s printmaking facilities as well as critiques with professional artists and curators. 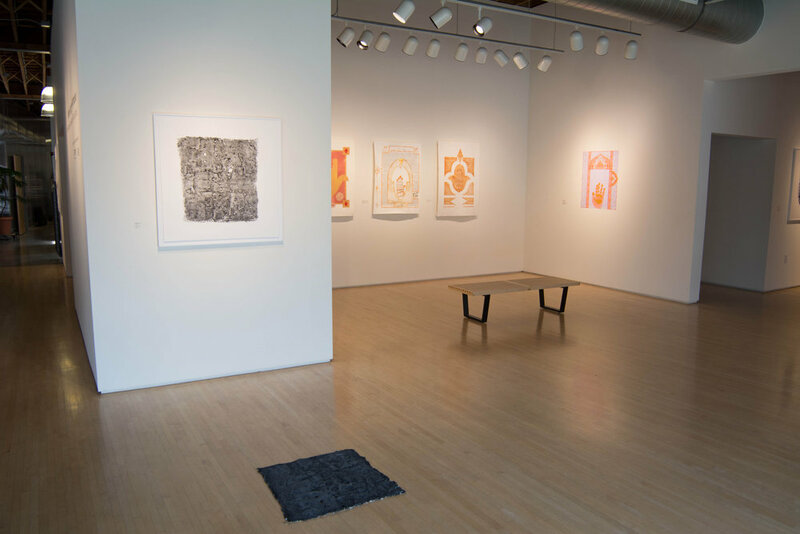 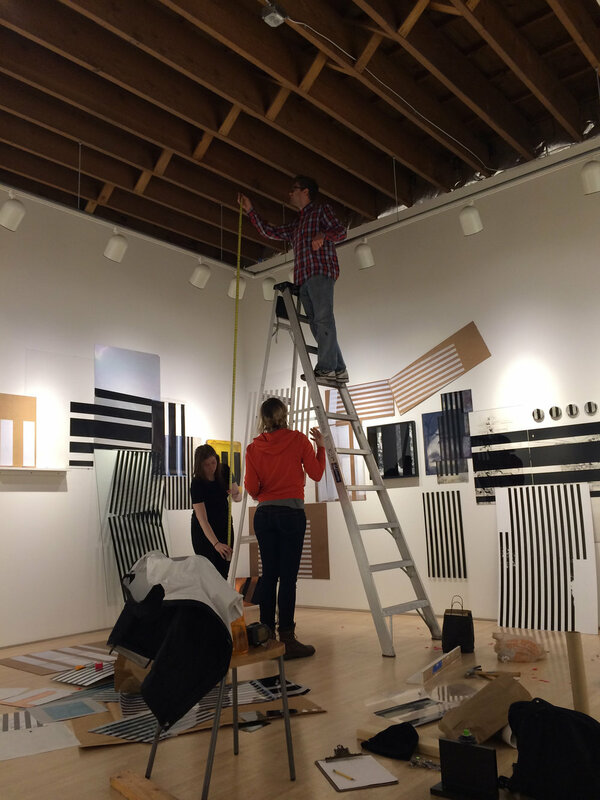 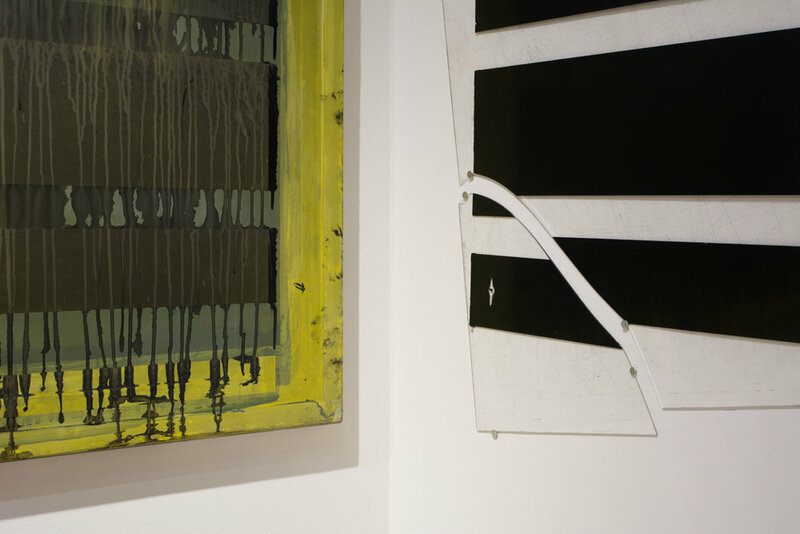 The exhibition featured woodcuts, screenprints, intaglio prints, objects, and a site-specific installation created during the artists’ residency. 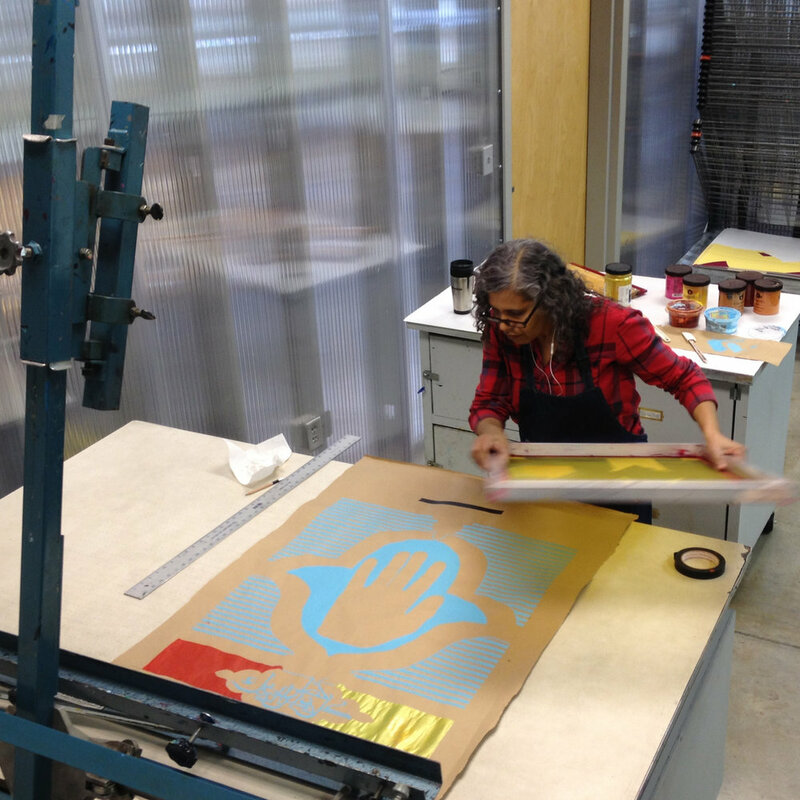 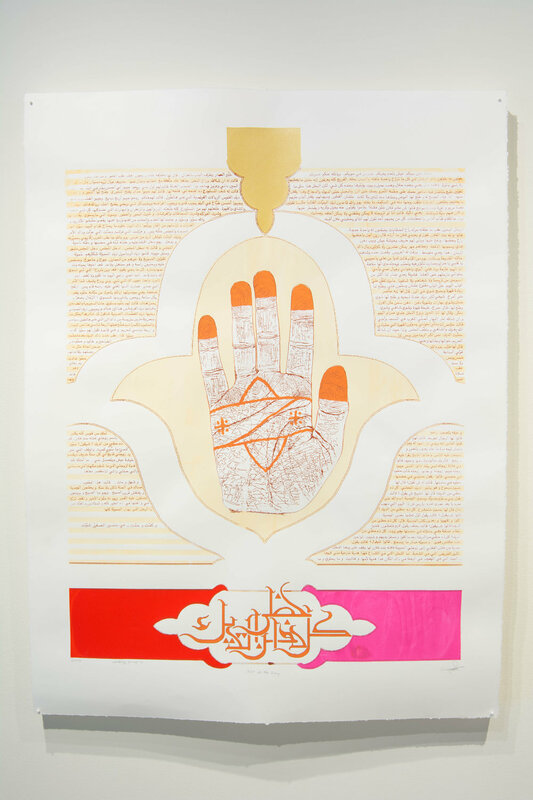 During her nine-month residency, Hend Al-Mansour utilized screenprinting, relief, and intaglio to reference traditional Arab art and contemporary issues confronting women in the Middle East. 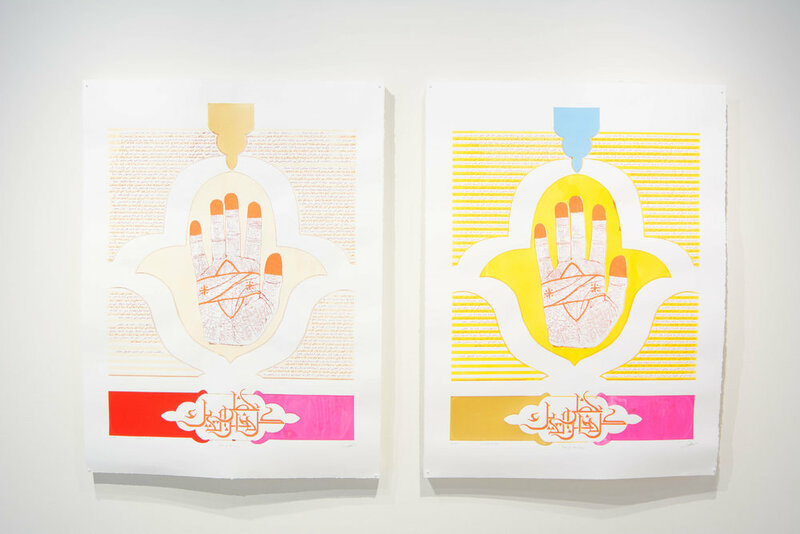 After emigrating to the United States from Saudi Arabia in 1997, Hend Al-Mansour decided to leave her career as a doctor to focus on being a professional artist. 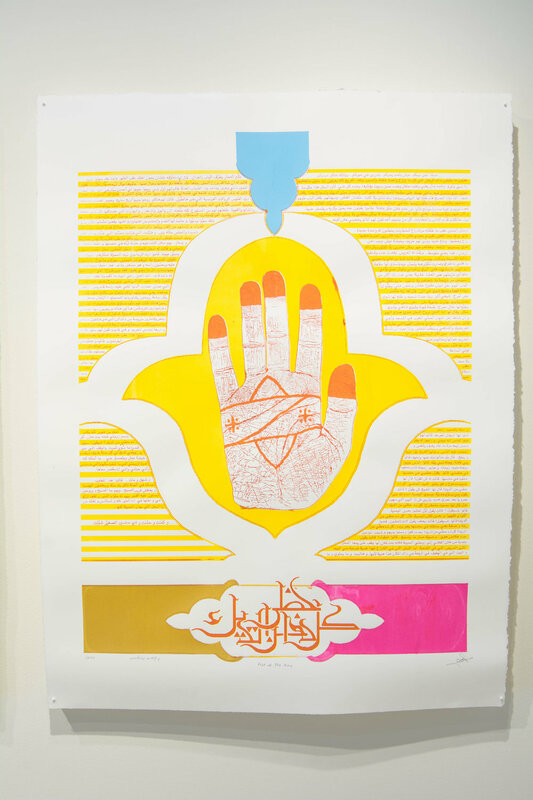 Hend holds an MFA from MCAD and a medical degree from Cairo University. 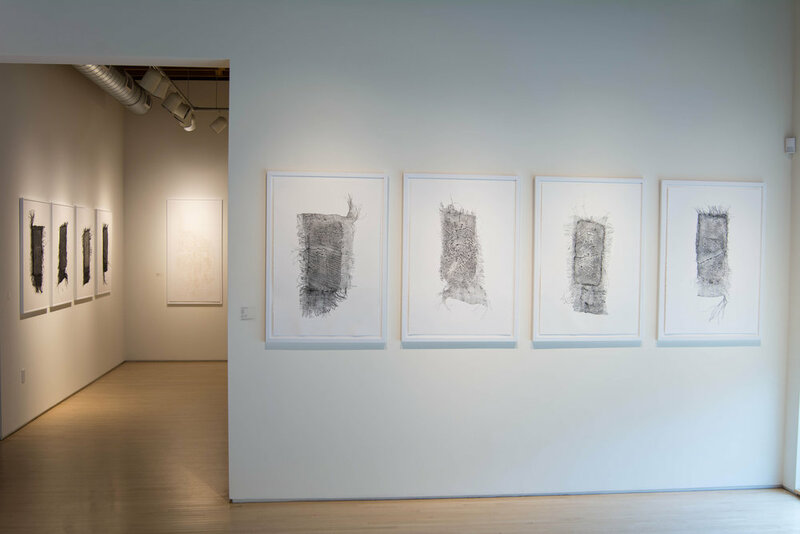 During his residency, Michael Gordon utilized print techniques to explore relationships between landforms and create narratives based on specific sites. 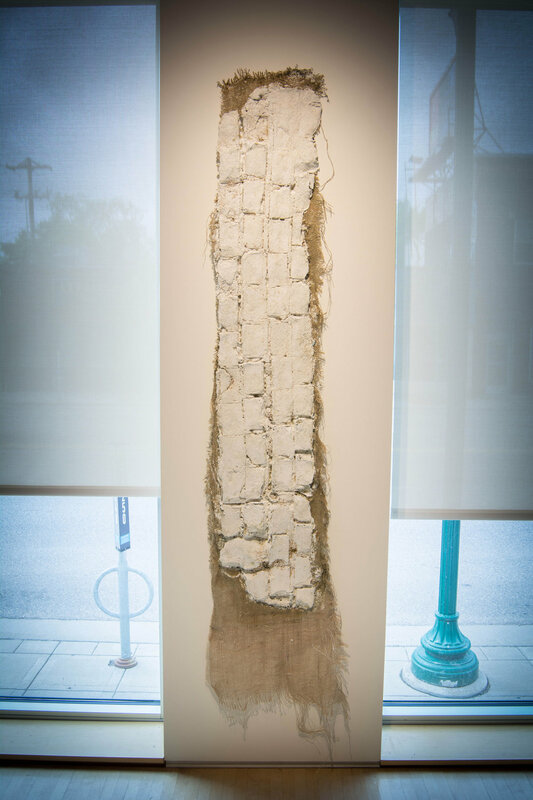 Gordon exhibited prints and objects related to casts he made of structural remnants found at the site of a former brick factory. 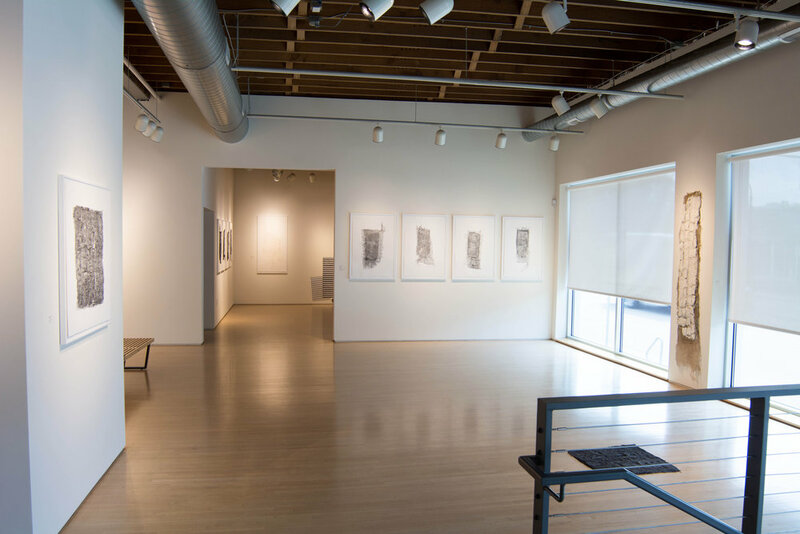 An architect by profession, Michael Gordon holds a Master of Architecture from the University of Minnesota and a BA in psychology with minors in History and Ceramics from the University of Wisconsin–Stout. 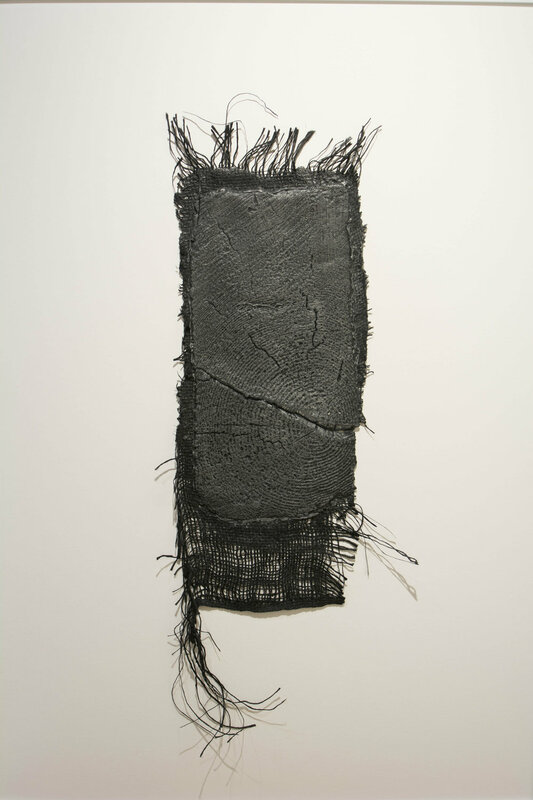 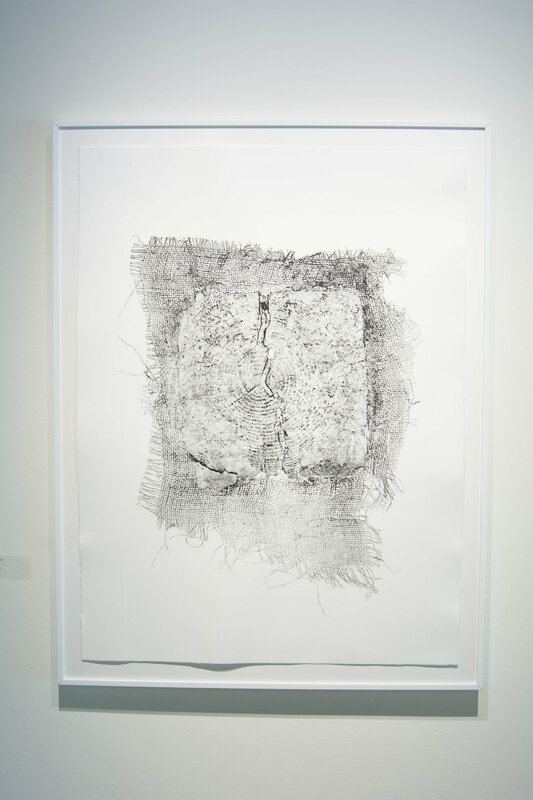 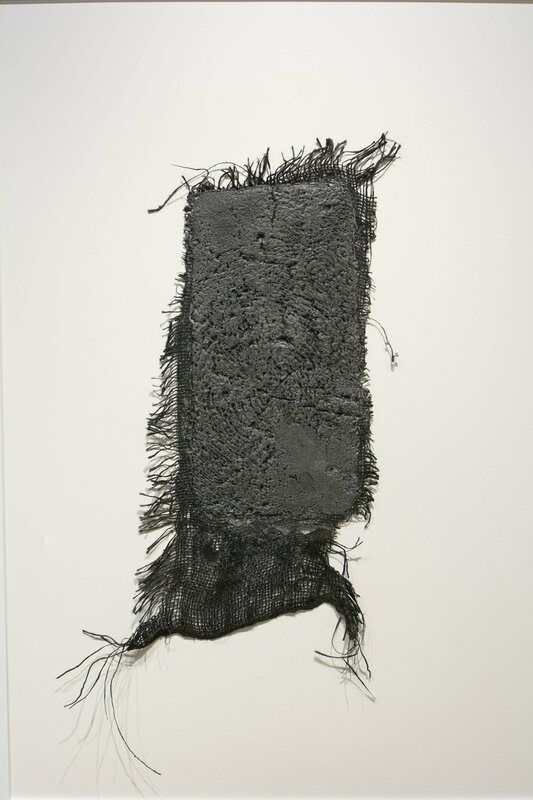 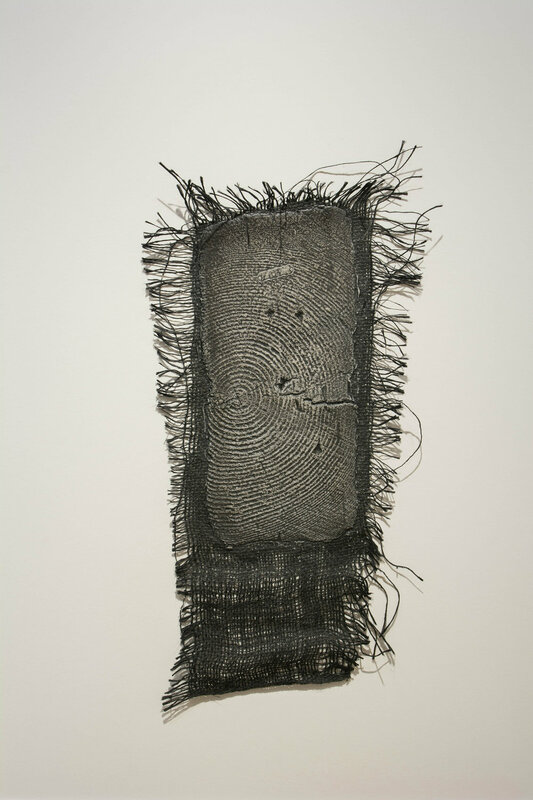 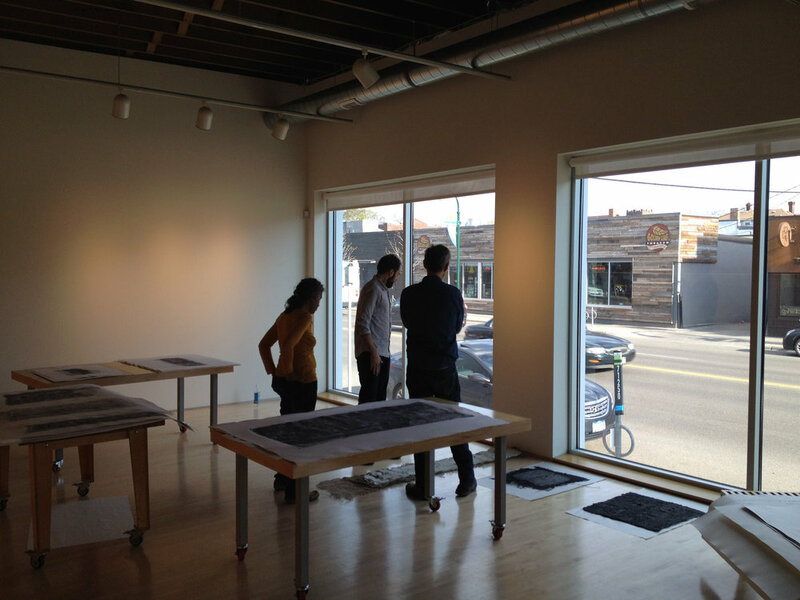 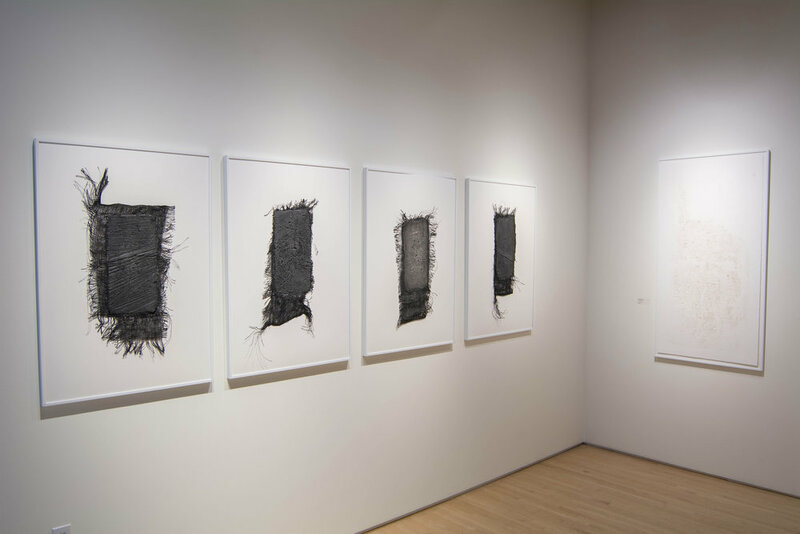 During her residency, Lindsay Splichal developed a new body of work based on the print as an object. 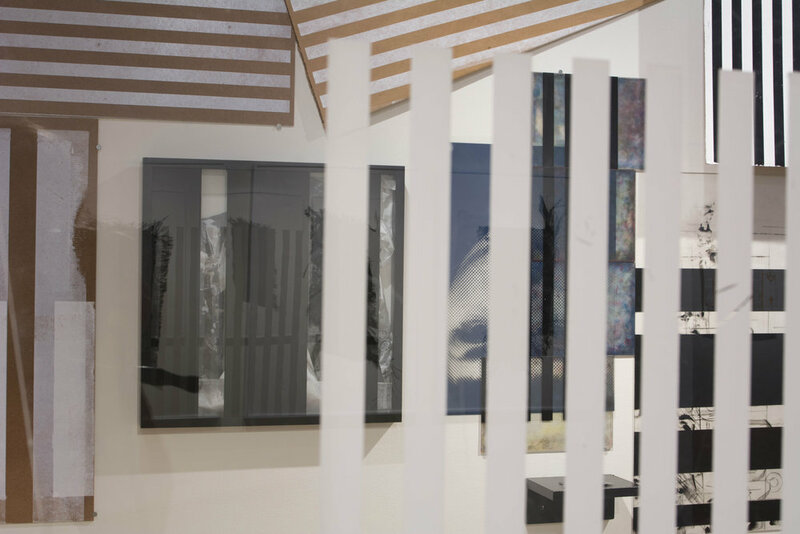 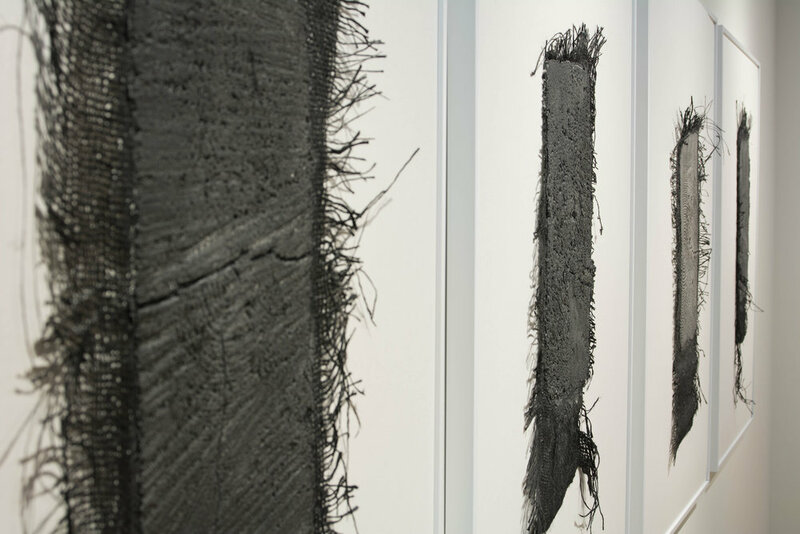 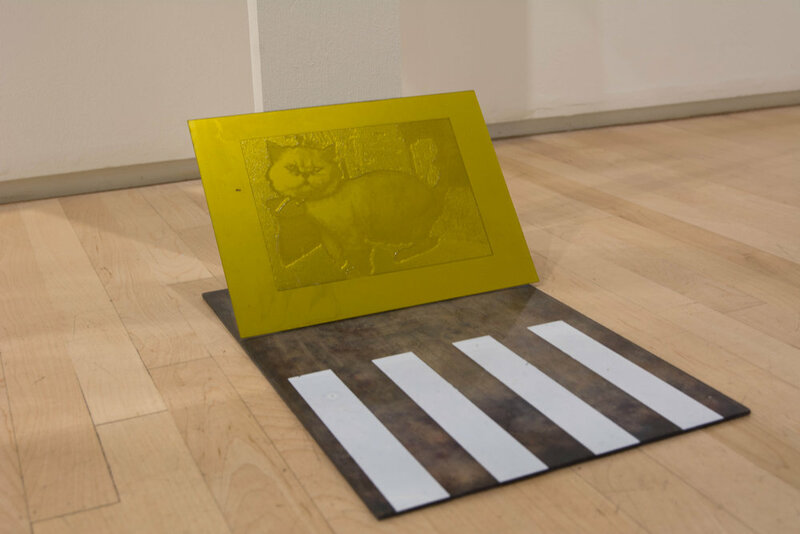 Using a collection of printmaking-related throwaway objects from local printshops as her substrate for printing repeating patterns, Lindsay created a site-specific installation in Highpoint’s gallery. 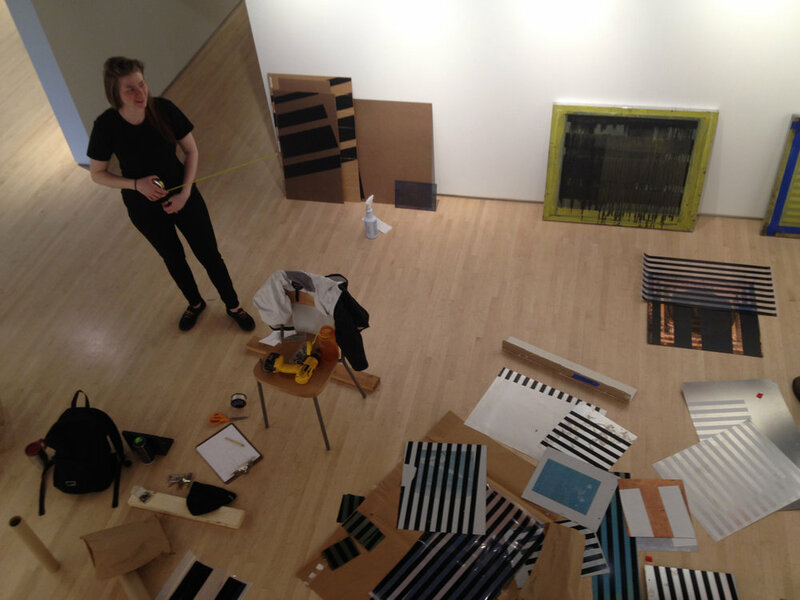 Lindsay holds a BFA in Print, Paper and Book from MCAD, and has been an instructor at Juxtaposition Arts since 2011. 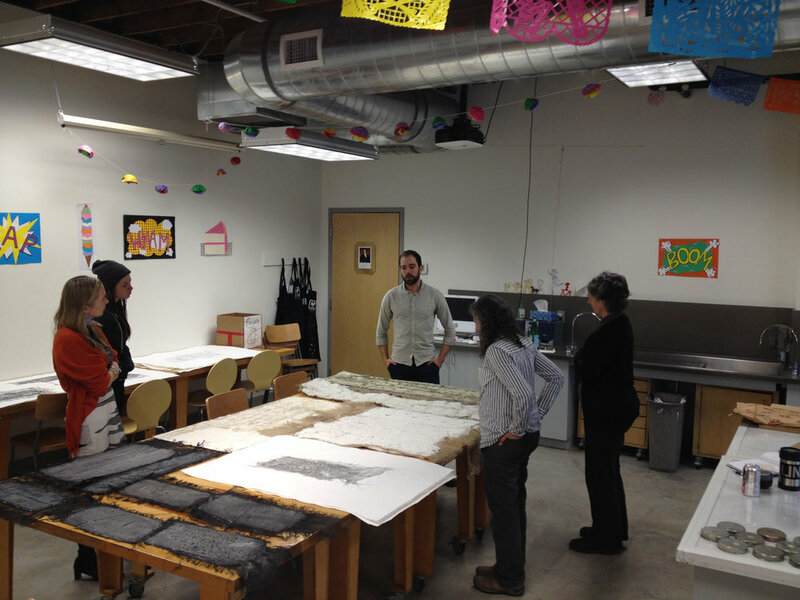 A special thank you to jurors Rachel McGarry, Associate Curator of Prints and Drawings at the Minneapolis Institute of Arts, and Minnesota-based artist and educator Chris Larson, who served as panelists in the selection process.